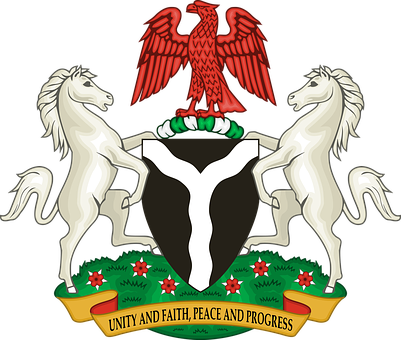 The 1960 independent constitution of Nigeria came into effect on 1st October, 1960, a day Nigeria was declared independent from Britain. The new constitution made provisions for the creation of a National Assembly made up of two chambers of the legislature, the House of Representative and the House of Senate. The House of Representatives, constituted the lower house and the House of Senate, constituted the upper house. One of the main functions of the National Assembly is to make laws to ensure the maintenance of peace and order in the country. Under the procedure prescribed by the constitution, a draft bill is sent to the House of Representatives for debate and possibly passed into law. After passing through the required stages and passed, the bill is sent to the House of Senate for a second look. When this is approved, it is sent to the President append his signature to become a law. Another function of the National Assembly is to approve the annual budget. The budget contains the details of how government intends to raise money and spend it in the ensuing year. The executive cannot just raise money and spend without recourse to the National Assembly. Without this approval, the government cannot go ahead with its financial activities in the coming year. It is the function of the National Assembly to approve the nominations for appointment from the executive arm of the government. The list of nominees for appointment is sent to the National Assembly and the nominees appear before the house for vetting. Until the nominees are approved by the house, the executive has no power to appoint them to their substantive positions. Apart from the approval of the annual budget by the National Assembly, the house also has the power to approve all major policies of government before they can be implemented. If the government enters into a loan agreement with a foreign government or with the International Monetary Fund, for example, the loan agreement must be brought before the National Assembly for scrutiny and approval. The National Assembly is charged under the 1960 constitution to check the activities of the executive to ensure that they comply with the tenets of their office. This is done during question time in the house. A minister of government or anybody accredited to stand for him, can be summoned before the National Assembly where he/she is thoroughly grilled on any problems going on in his ministry. This aspect of the work of the National Assembly under the 1960 independent constitution keeps the executive on its toes as regards how it runs the affairs of the country. Another function of the National Assembly is the control the misuse of government funds. Every year, the Auditor-General is mandated to present to the House an audited account of all the ministries, departments and agencies of government. Where any anomalies are detected, the appropriate steps are recommended for the lost monies to be recovered or the culprits arraigned before a court of competent jurisdiction. 1. What six functions were performed by the National Assembly under the 1960 independent constitution of Nigeria?